I am currently navigating these blog discussion boards to figure out how to post the Digital SLR photos I take with my Nikon onto their own Page/Tab. Until then, I wanted to share a photo I snapped (and edited) while scouting this epic sunset location I’d been to, but could not remember for the life of me how to get back to. And we found it! And no, I wasn’t successful getting a sunset shot. 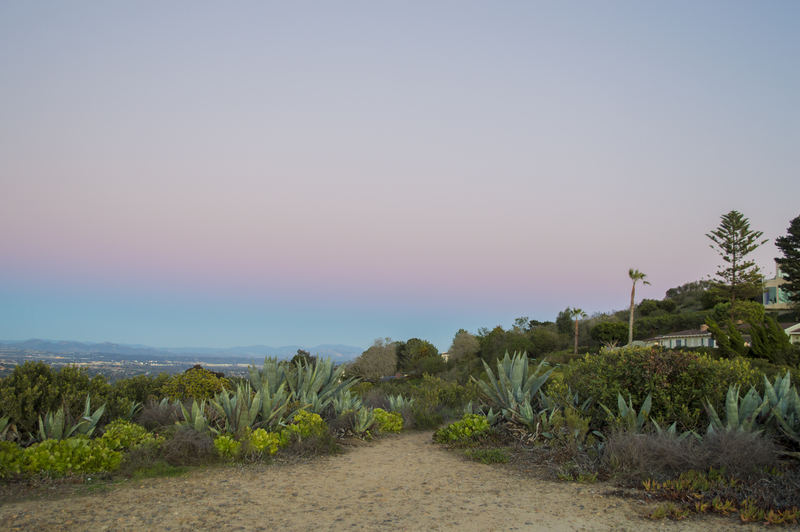 But, while I was finagling with my camera’s Manual settings in order to catch that setting sun, I turned around and saw this scenic ambiance framing the path we took in, leading us toward the ocean. Here we are looking North East into California from a La Jolla cliff in San Diego. If you click on it, you will see more detail. January 15, 2015 around 5:00pm.